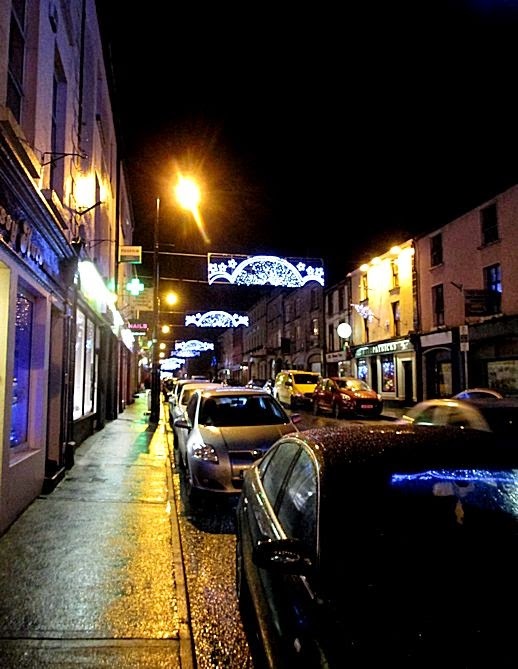 ...and Ballinrobe is all dressed up for the season! 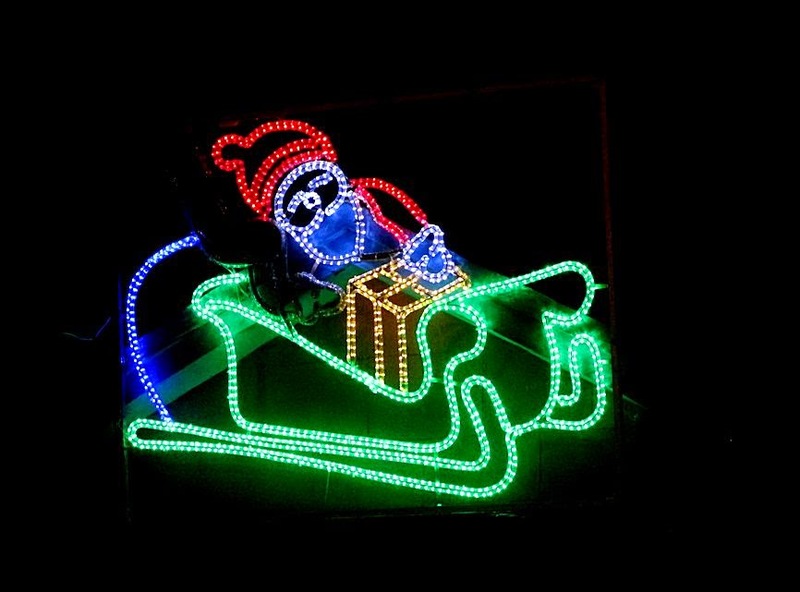 We saw the first Christmas items in the grocery store during the first week or two of October when the Christmas cakes and puddings appeared. Then a few gift sets and biscuit tins showed up on the seasonal shelf next to the Halloween candy. 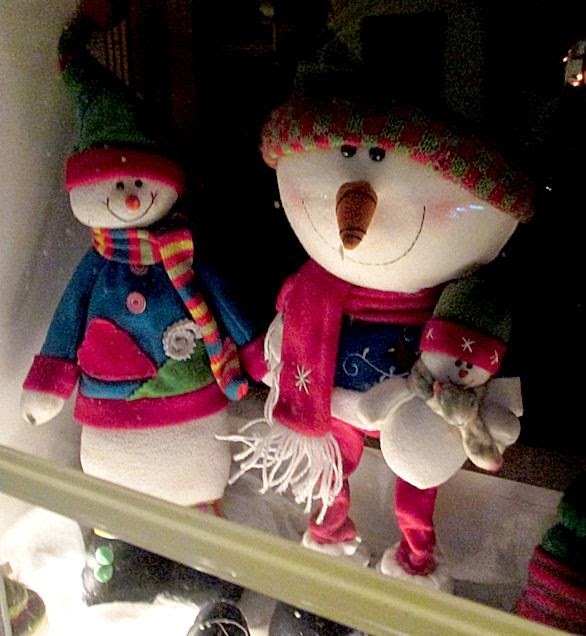 On November 1 the home store down the street had a big sign up announcing that the Christmas Shoppe was open and their window was filled with trees and decorations. 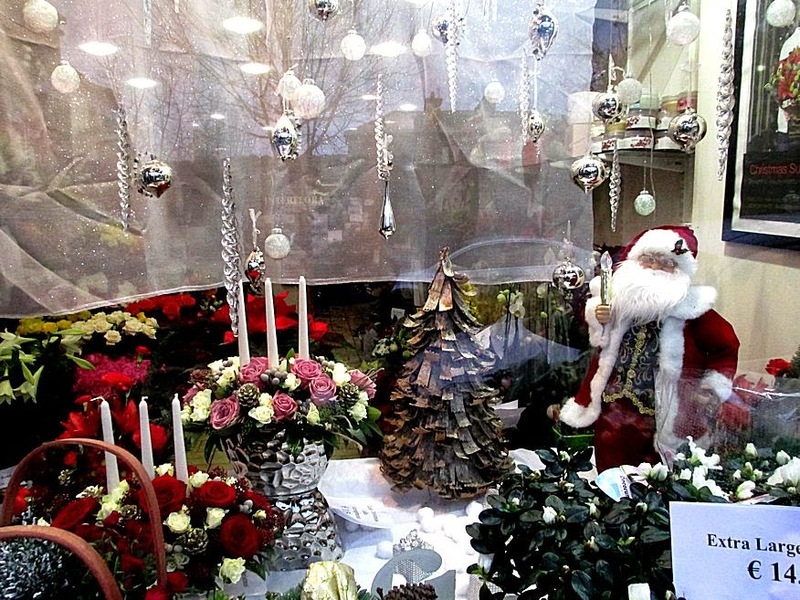 More and more stores created seasonal window displays and many of them have changed those displays a few times over the past couple of months. It's been fun to see them as we walk around! Bill took a quick walk around the block last evening when he went downstairs to put out our garbage for the weekly pick-up. 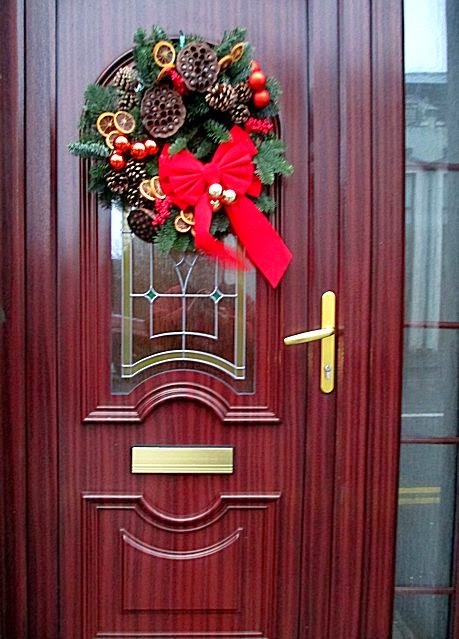 As always, he had his camera and captured some of the latest festive decorations. People coming into town from the south on the Neale Rd are greeted with this sign. If they turn left onto Bowgate St and head towards Main, they get to see Santa. 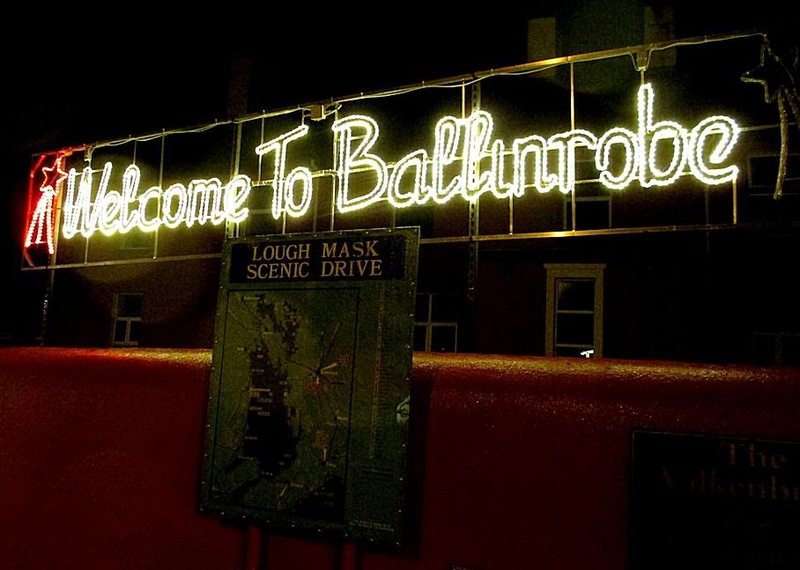 It's been a lot of fun to observe the ways Ballinrobe gets into Christmas, from the decorations to the foods that are traditional, it's a whole new world for us. We wish everyone a wonderful holiday season, whatever holiday you celebrate--and even if you celebrate nothing at all--we hope the last days of the year bring you joy and peace!